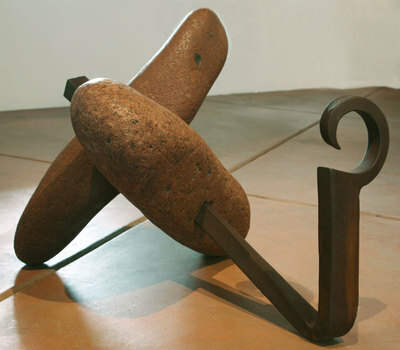 Fred Borcherdt, Relic Marker, Aluminum and Mesquite Wood, 15" x 26" x 22"
Award-winning sculptor, Fred Borcherdt received his bachelor’s degree at the University of Arizona in 1961 and his master’s at the School of the Art Institute of Chicago in 1963, where he later was an art instructor. He was invited to the National College of Education in Evanston, Illinois as a visiting artist and to the University of Arizona as a visiting lecturer. 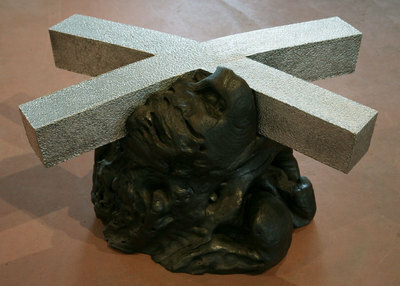 In 1985, he lectured at the International Conference on Sculpture at Trinity College in Dublin, Ireland. 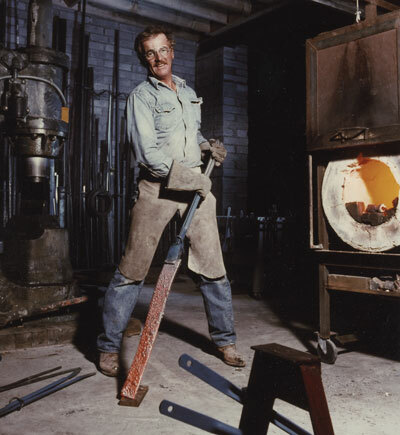 In 1996, he lectured at the Sculptural Forging Demonstration, 3rd Annual International Blacksmithing Congress in Aachen, Germany. Borcherdt’s awards include the 1964 Edward L. Ryerson Foreign Traveling Fellowship and the 1964 Pauline Palmer Prize for Sculpture at the Art Institute of Chicago, 1964 Jurors Award Festival of the Arts in Chicago, 1967 First Prize for Sculpture at Old Orchard Art Fair in Skokie, Illinois, 1967 Marina City Purchase Prize and 1969 First Prize at New Horizons in Sculpture in Chicago, 1979 Purchase Prize and the 1985 Award of Merit at the Tucson Museum of Art, 1979 First Prize at Reid Park Zoo Entrance Competition in Tucson, 1986 Visual Improvement Award for Sculpture in Phoenix, and the 1996 Kupfer Award in Germany. His work resides in the collections of the Phoenix Art Museum, Tucson Museum of Art, Marina City Tower in Chicago, Southbank Business Park in Phoenix, Tampa Museum of Art, National Ornamental Metals Museum in Memphis, Loews Ventana Canyon Resort in Tucson, and the Mulvane Art Museum in Topeka to name a few. Borcherdt continues to exhibit and lecture internationally. 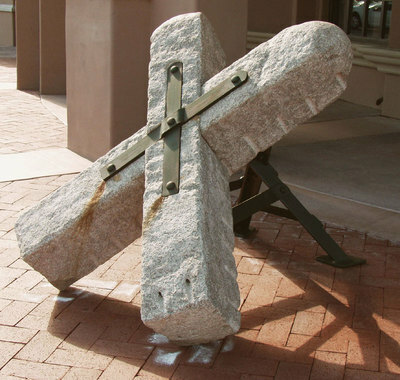 Fred Borcherdt, Passage Marker II, Stone and Forged Steel, 23" x 103" x13"
Fred Borcherdt, Desert Anchor, Stone and Forged Steel, 22" x 29" x 23"